Cricket Derbyshire, the umbrella body overseeing professional and recreational cricket across the county, has opened disciplinary proceedings against a number of individuals for malicious communications and images published in social media. Following consultations with the police, lawyers and representatives of Derbyshire Cricket Board and the County and Premier Leagues, the County Club has already issued a number of indefinite bans to individuals from all grounds, venues, buildings and events connected with the Club. Both cricket leagues will also be contacting Clubs and players as they consider potential disciplinary proceedings. Cricket Derbyshire is now working on a joint Social Media Code of Conduct which will be released during the close season. County Club Chief Executive Simon Storey (left), said: "The growth of social media has generally been extremely positive at all levels. It's proving to be a great way for clubs, players and fans to communicate, debate and keep up-to-date; and the large majority of interactions are constructive, well-meant and often amusing. "However, like anything else in the wrong hands, social media can cross the line and users should always ask themselves if their messages and comments are appropriate." 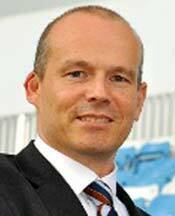 Speaking on behalf of the Recreational Board, Business and Relationship Manager Andy Bowley added: "The cricket authorities in Derbyshire will act fast to protect the integrity and spirit of the game on and off the field. "We'll strictly administer our Social Media Code of Conduct and will continue to protect all players, employees and officials from insulting, offensive or false statements and content. "Adopting a joined up approach with all aspects of the professional and recreational game will send a powerful message to offenders and, will increase our options when it comes to handing out appropriate sanctions."